Tsering Sandup, Executive Councillor, Education, LAHDC, Leh: The education scenario in Ladakh has improved over the years but yes, there is a need for reformation in the system. 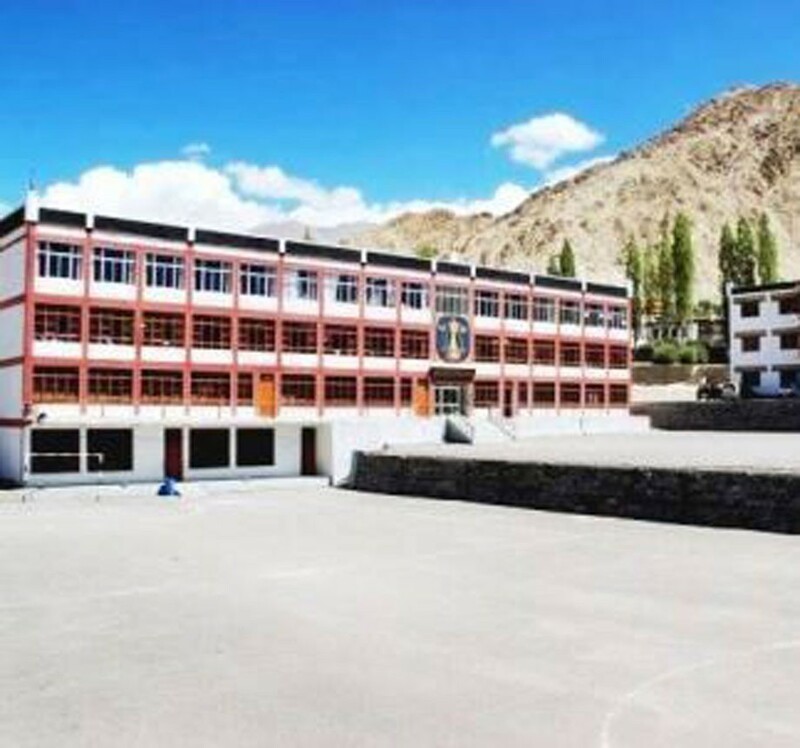 In Leh district, we have many government and private schools but we lack institutions for higher education. Leh has only one Government Degree college and a Polytechnic Institute. The limited option for higher education and prevalent issues in the existing one compels the maximum of our students to move to other states to pursue higher education. Eliezer Joldan Memorial College is the sole college of Leh district affiliated to Kashmir University. At present around 1000 students are pursuing their bachelor’s degree in the college. Though the college offers all the courses with best faculties, the major problem faced by students are the late conduct of the semester examination and delay in the declaration of the results. The bachelor’s degree which is to be completed in three years takes 4-5 years, thus wasting the whole 2 years of the students. It has been found that about 4500 students are still struggling to get their degrees. Due to continuous unrest in the valley, our student is facing innumerable problems. At present, the biggest issue is the delay in the conduct of semester examination which needs to be resolved before taking up any other issue. We have been demanding the de-linking of colleges in Ladakh from Kashmir University which was taken up by Late Dr. Sonam Dawa, CEC and Chhering Dorje, Minister for Cooperative and Ladakh Affairs in the year 2017 with the Vice Chancellor of the Kashmir University. On October 11, 2017, the Kashmir University issued a notification for a new examination policy for Ladakh division for undergraduate and B. Ed Courses. We had only one Rector for both Leh and Kargil. Now we are demanding separate Rector for each district. Though we have Ladakh 2025 Vision document wherein all the sectors are covered but unfortunately, we do not see many implementations in reality. The saddest part is that we do not have a concrete education policy to improve the quality. According to the notification issued by the Controller of Examinations, Kashmir University, the examinations of UG/B. Ed. courses carried out at Government Degree College Leh, Kargil, Zanskar and Nubra shall be conducted separately after the completion of the courses to be certified by the concerned colleges. These examinations shall be de-linked from the UG and B. Ed examinations of Kashmir Valley. A Nodal Centers for the purpose of conduct of examinations in the Ladakh Region shall be established both at Leh and Kargil Campuses. These centers shall be managed by the Coordinator Examinations to be nominated by the Rector, Leh/Kargil Campuses. But the new examination policy is not implemented yet. The issue has been discussed and we are looking into the matter. At present, the focus is on the timely conduct of the examination so that the students will not have to waste their years to complete their bachelor’s degree. Secondly, the Kashmir University, Satellite Campus, Leh which was started in the year 2017 is also facing the problem regarding the appointment of the Rector, the head of the campus who hardly stays. The issue has been taken up and the appointment of the new Rector for the campus is in line with the appointment of new Vice-Chancellor of Kashmir University. There are many issues regarding the campus including lack of permanent staff, less enrolment, limited availability of courses which definitely needs serious intervention from the stakeholders. The issues have been taken up with the Registrar, Kashmir University who is in charge of the satellite campus at present. We have got a positive response from him and hopefully, this will be sought out soon. Rather than making new plans, we should solve the existing issues related to higher education. As of now, all the funds to Degree College Leh go from the District Plan which is very limited. We need to get funds from the State like other degree colleges. And if we talk about the education system in Ladakh, there are many loopholes along with improvement seen over the years. Imparting quality education can be anticipated if the teachers are posted evenly in the entire region. The need is to focus on schools in far-flung areas as parents can’t send their wards to private schools. Quality education can be imparted if the required teachers are made available. The major challenge faced till now is the transfer system in the education department. There is a need to make it more transparent so that the issue of nepotism can be avoided. We are working on the issue by taking the concern people in confidence so that the decision will be implemented efficiently and effectively. • Timely conduct of the semester examination in Degree Colleges so that the students can complete their degree within a specific time. • Management and supervision of the college should be handed to the LAHDC. • Degree College Leh should get funds from the state government. • Transparency in teachers’ transfer policy. • Need to focus on the schools in rural areas. • Teachers join the school within a stipulated time mentioned in the transfer order without any delay. Deskyong Namgyal, Principal, EJM, College, Leh: In Ladakh, we have four-degree colleges and two Kashmir University Satellite campus. And both the districts Leh and Kargil have two colleges and one campus each. Recently, one-degree College was also approved for Drass. In total, around 4,000 students are pursuing their higher education in Ladakh. But with this, we cannot claim that the status of Higher education is good in Ladakh. There is still room for improvement. Along with the infrastructural development we need to focus on improving the education scenario in Ladakh. In Eliezer Joldan Memorial College, we have around 1,400 students enrolled. The college provides all the courses with required faculties but facing major issues like delay in conducting semester examination, lack of funding and many other issues. The colleges of Ladakh are affiliated with Kashmir University and due to the unrest situation in the valley, our academic sessions are affected adversely. Due to delay in conducting examination and results the students’ academic career is affected. The three-year bachelor’s degree is taking over 4-5 years to complete. Students are clueless about the date of semester examination and result declaration. The sad part is that the price of the Kashmir situation is paid by the students of Ladakh. This is a serious matter because until and unless the academic session improves, there is no point of any other new infrastructural development. Thus, I think the prime need is a smooth functioning of an academic session with a qualitative result. The problem can be solved by de-linking the colleges of Ladakh with the Kashmir University keeping the affiliation intact. There is a need for a separate academic calendar for the Ladakh region. In October 2017, the Kashmir University did notify that the examination (Undergraduate and B. Ed) for the students enrolled in Govt. Degree College, Leh, Nubra, Kargil, and Zanskar shall be held separately as per New Examination Policy. But there is no implementation on the ground so far. At present, the Kashmir University itself has certain issues like the appointment of a new rector in the district. The second major issue is the limited funding for the proper functioning of the college. EJM is funded under district plan with a meagre amount. Funding from the state budget of Higher Education department is very much necessary to run the college. We have witnessed that today more funds are allotted and spent on construction and infrastructure development rather than improving education. And on the other side, our leaders talk about education development and priority. Rather than demanding and introducing new colleges, there is a need to improve the existing one to bring the institution to a level with the rest of the colleges within and outside the state. The concerned councilors of the respective constituency should demand the hostels as this will accommodate the students from far-flung villages and can easily pursue their higher education. The demand for new college can be pursued when there is a need. But before that, we need to upgrade and improve the existing one. There is no point in demanding a new college without improving the existing one. Apart from the delayed academic session and limited funding, there are several other issues pertaining to students. Like our students are very hesitant and cannot open up easily due to their shy nature. They lack confidence and are afraid to speak. We are putting every effort into introducing various initiatives and other co-curriculum activities to overcome the difficulties and to build confidence. To improve the Higher education, serious intervention from the stakeholders and willingness in a real sense with practical implication on the ground is the need of the hour. • Delinking the colleges of Ladakh region with the Kashmir University and implementation of new examination policy. • Need a separate academic calendar for Ladakh. • EJM, Leh colleges should get their funding from the state budget of the Higher Education Department. • Hostel facilities for the student of the far-flung areas in and around Leh.